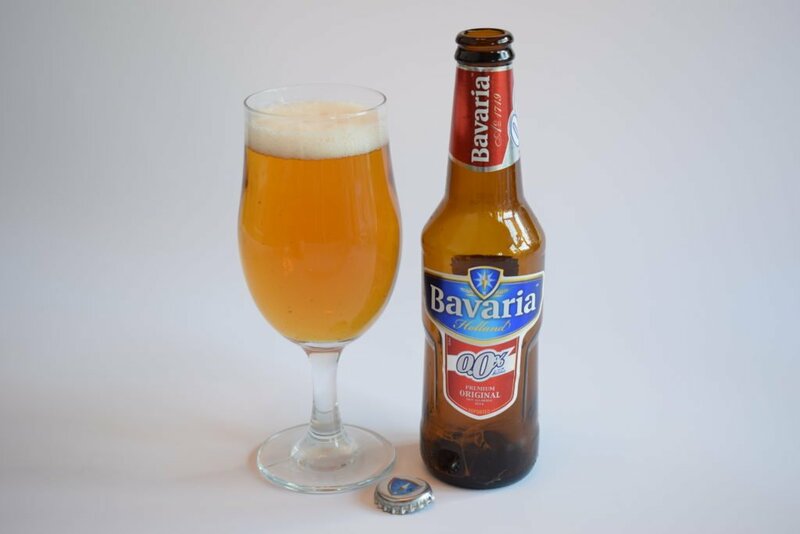 Bavaria “0.0%” is an alcohol-free pilsner-style beer. Get tasting notes and find out its calorie, carb and sugar content and ingredients in this review. The state of Bavaria, in Germany’s south-east, is well-known for its beer. After all, it’s the original home of the Reinheitsgebot (beer purity law) before it became law across the whole of Germany in 1906 and the source of many quality beers, including UK alcohol-free brands Fitbeer and Lucky Saint. Is it a bit rich then to brew a beer in the Netherlands and then call it “Bavaria”? Not according to the Swinkels brewery, producers of the “Bavaria” range of beers. The brewery has used the Bavaria name since 1925, despite being more than 400 miles away from the state’s capital, Munich. 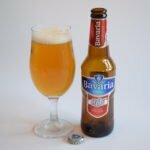 In the early 2000s, it had a bit of a ding dong with the Bavarian Brewers Association about its use of the term. In the end, the European Court of Justice ruled it could continue using it. Swinkels produces more than 10 beers under the Bavaria brand, including several alcohol-free varieties. 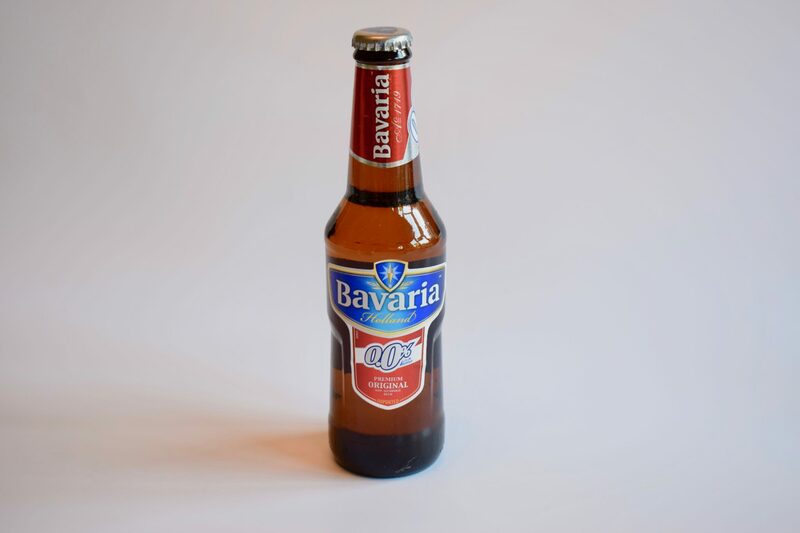 “0.0%” was its first, sold as early as 1978 and then known as “Bavaria Malt”. The brewery is the second largest in the Netherlands after Heineken but it’s still family owned. Being a large brewery, its beers get around – you can pick up “0.0%” in many UK supermarkets. It’s cheap too, with a 4-pack of 330ml bottles retailing around £2. Ironically, 0.0% meets the requirements for Bavaria’s beer purity law – the only ingredients are barley, wheat, hops, yeast and water. Swinkels proudly says that it altered the brewing process so that no alcohol is created at any stage. This means it doesn’t have to filter out any alcohol. Scarred by the experience of tasting many alcohol-free beers that taste like unfermented wort, this sets alarm bells off with me. Fortunately, I tasted Bavaria 0.0% before I found this out so was able to be objective. But I have to say an unfermented wortiness stuck its nose into every aspect of this beer. The aroma is mostly sweet wort with a little soapiness thrown in. This soon gives way to wet cardboard. There’s no hops, which I expected from a lager-style alcohol-free beer. It pours a typical amber colour and has a decent sized head that dissipates quickly but leave enough froth to leave a little lacing down the glass as you sip. 0.0% has a decent medium body, with low carbonation that doesn’t feel too harsh as it slips down your throat. Unfortunately, it’s a bit syrupy and not like a standard beer’s mouthfeel. On drinking, the flavour is worty but it’s less sweet than indicated by the aroma leaving a beer that’s nicely balanced between bitter and sweet. The bitterness comes through at the end and there’s a dry finish. But there’s nothing else in the taste to get excited about. 0.0% won’t win any awards. But at 50p a bottle and a flavour that’s underwhelming yet drinkable, some might say you can’t really go wrong with it. Yet, I don’t think it’ll be one I’ll be revisiting again, even if it is a bargain.